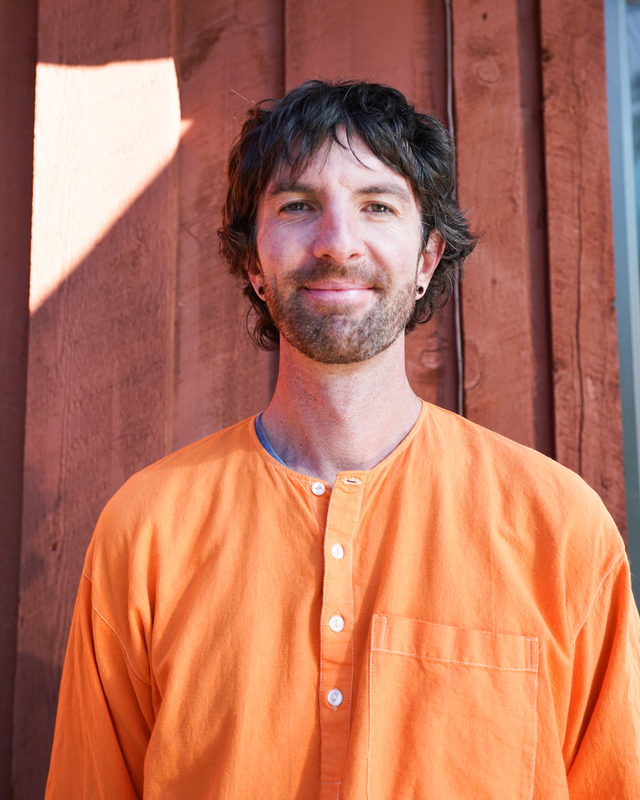 Shoshoni’s teachers are warm, experienced, down-to-earth yoga practitioners and dedicated ashram residents. We are committed to bringing out the yoga teacher in you! Trainings are led by a primary teacher training leader (ERYT) with 2000+ hours of teaching experience. Other teachers join for anatomy, Sanskrit, philosophy, pranayama and asana classes. We work hard, we play hard, and we love teaching yoga and meditation! 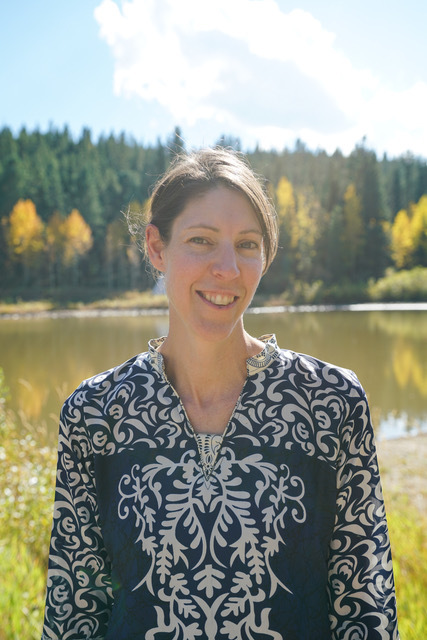 Yogini, physical therapist (MPT 1999), ERYT 500 and CIAYT came to Shoshoni with a deep desire to learn meditation. She has served in the ashram since 2006, just after receiving her Shambhava Yoga certification. She spent 9 years managing the Eldorado Ashram, and moved back to Shoshoni in January of 2018. 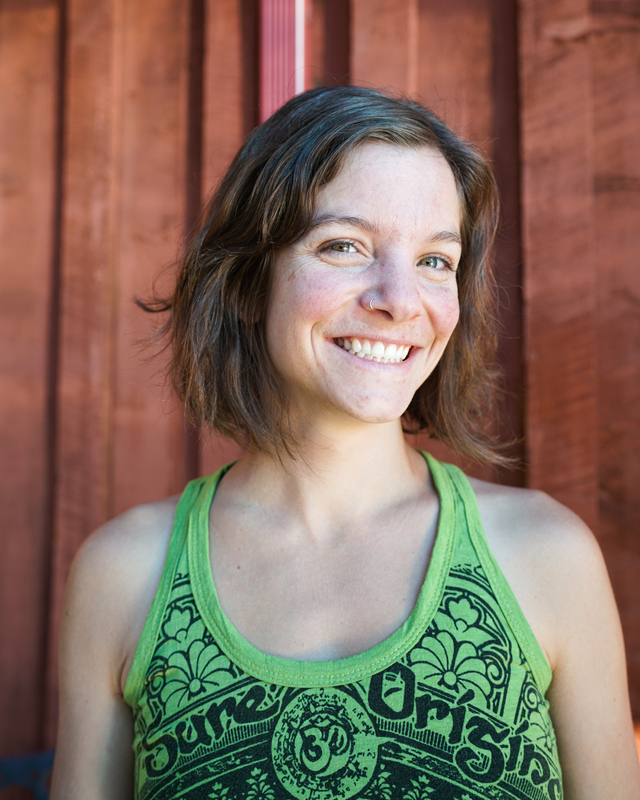 Yogini enriches all Shoshoni trainings with her anatomy expertise and joy of teaching. In her free time she enjoys family time, dancing, and baking decadent desserts! Swami Devananda, Senior Yogacharya, ERYT500 and CIAYT, has lived and taught at various Shambhava Yoga Ashrams since 1988. With over 30 years of practice, DevaMa’s lighthearted teaching allows students to open and find their practice naturally. She is a senior teacher of yoga and meditation and author of Yoga in the Shambhava Tradition. She loves to share the joy and depth of inner experience that Shambhava Yoga has to offer. In her free time, DevaMa enjoys gardening, studying Ayurveda and painting thangkas. 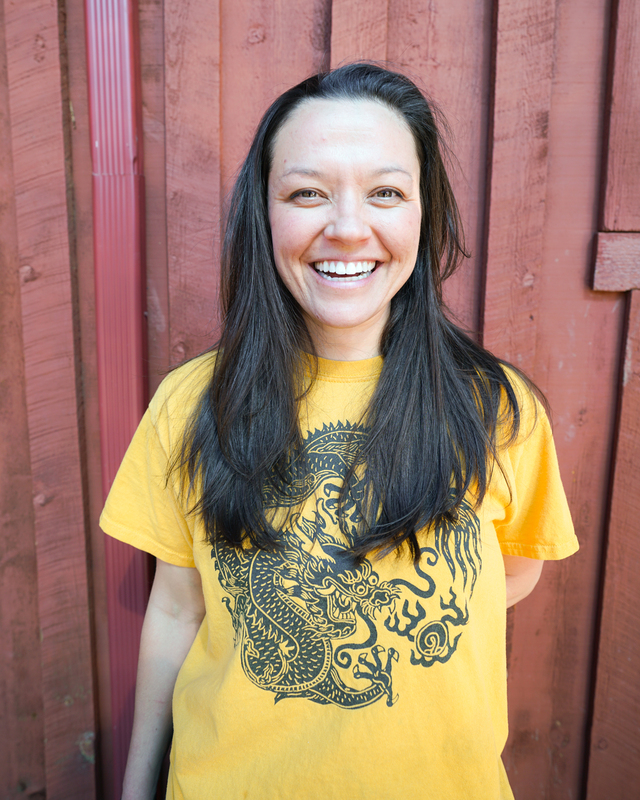 Kali first arrived at Shoshoni in spring of 2011, but her yoga practice began all the way back in middle school! She brings an element of fun to every class she teaches, and enjoys incorporating flow into her classes, whether it’s Vinyasa or All-Levels Hatha. As her teaching has evolved, she seeks more and more to give students the space to have their own experience while on the mat. She also works as Head Manager of the Shoshoni kitchen and can whip up a mean key lime pie! Shakti is a big-hearted yogini well-known for her abundant laughter. She leads yoga trainings and directs the Shoshoni gardens, both of which are flourishing. Shakti came to yoga in 2010 through meditation, and loves to share the inner experience that comes from bringing yoga off the mat. In her free time, Shakti loves to spend time outside. 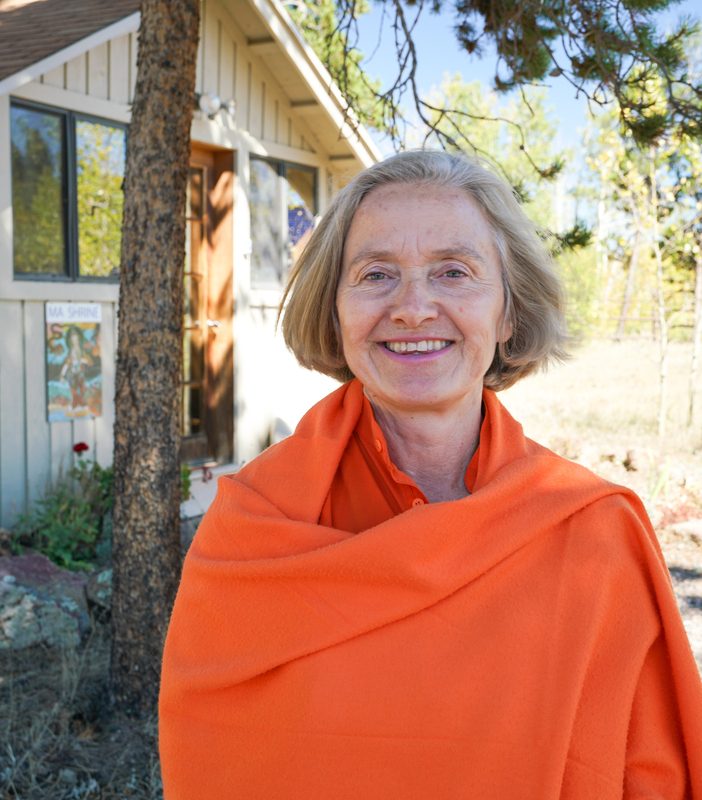 Maitreya has served at Shoshoni since 2004, teaching meditation, yoga and philosophy. He is a master builder at the ashram, instrumental in Shoshoni’s gardens. Maitreya’s classes are both down-to-earth and expansive, guiding students deeper into their personal experience of yoga. 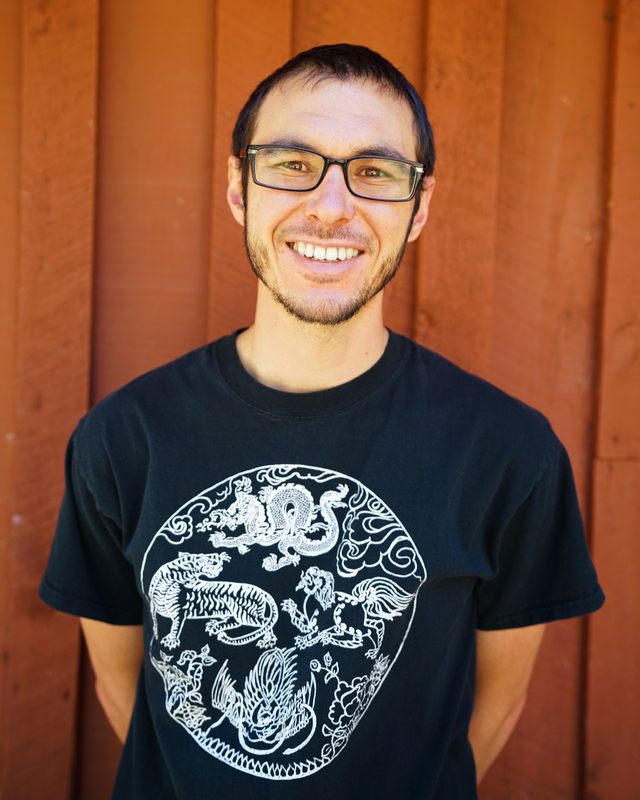 He says of teaching, “It opens me and draws from me things that I didn’t even know were there.” A Colorado native, Maitreya loves to hike and rock climb. He is also an accomplished potter and drummer for Shiva’s Garden. Shantam has been part of Shambhava Yoga since 2011. Shantam has deep interest in the philosophical and meditative aspects of yoga. His knowledge of the many aspects of yoga and how they can be experienced within daily life shines through in his teaching. Shantam is currently serving as a chef in the Shoshoni kitchen, working to serve delicious vegetarian food to guests every day. In his spare time he enjoys reading both fiction and yogic philosophy as well as enjoying science fiction and fantasy movies.